Raymond Narac and Sébastien Dumez will race an Oreca Saleen next year, in the FFSA GT Championship – writes David Legangneux. Narac and Dumez (Dumez with the dark hair, right) were the 2006 FFSA GT2 Trophy winners, and although the former is a Porsche dealer in Rouen, he’s switching to a Saleen, and moving up a class, for 2007. Oreca’s Saleen, driven by Ayari / Hernandez, won eight races this year in the French Championship: now the European agent is preparing to run two cars domestically. 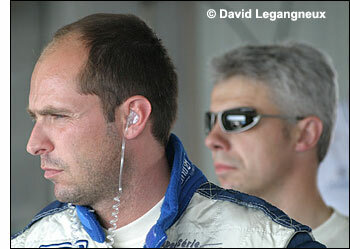 Oreca chose not to race at Le Mans this year, but Narac raced his Porsche there in 2005 and 2006. 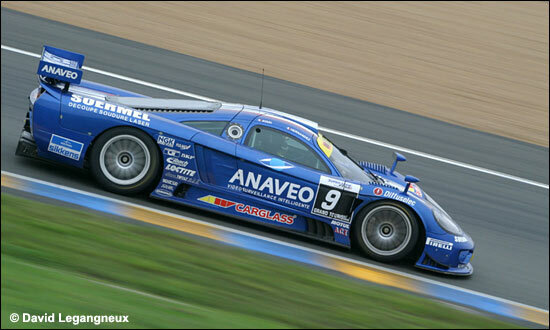 Here's the Ayari / Hernandez Saleen on the Bugatti Circuit last month. Meanwhile in the GT3 class in France, First Racing will enter three Lamborghini Gallardo GT3s, with some 2007 evolutions, in the FFSA GT - and also in the FIA GT3 Championship. 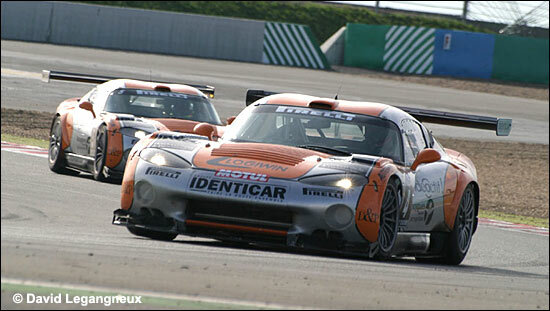 First Racing won’t be competing in GT1 in France any more, and its two Vipers (below) will be sold.